Doing our best to keep it neat, we trimmed a few bugs and have another release for you. 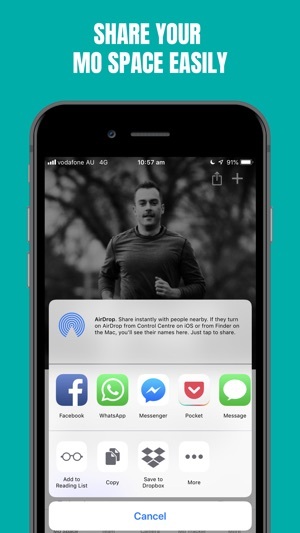 The photo storage and viewing functionality is very limited. 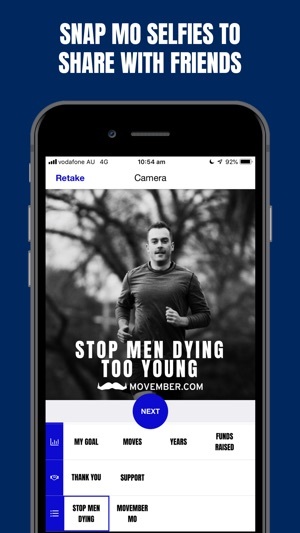 The Mo Tracker just forgets the photo you took when you click "Done" and doesn't even save it anywhere. And the Camera tab seems redundant with the Mo Tracker - why have both? There is no way to zoom in on pics you've taken which is annoying. And you can't rearrange your profile pics by click and drag like one would expect. Basic things that should be an easy fix. Hey jrich07 - thank you very much for sharing that feedback with us, we really appreciate it! The things you mentioned are all on our list of future improvements - we completely redesigned our app this year to improve the user experience, but with the resources we had available as a non-profit we couldn't do everything we wanted to unfortunately. Great to know that those features are high on your list of priorities! Thanks again for taking the time to let us know and help us improve. 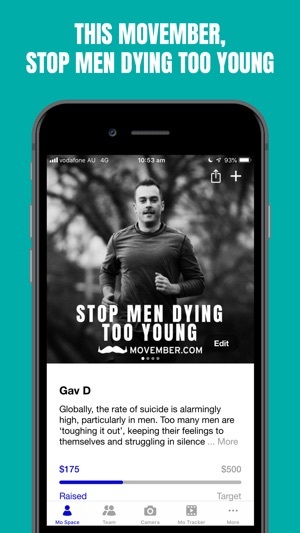 Hope you have a great Movember! 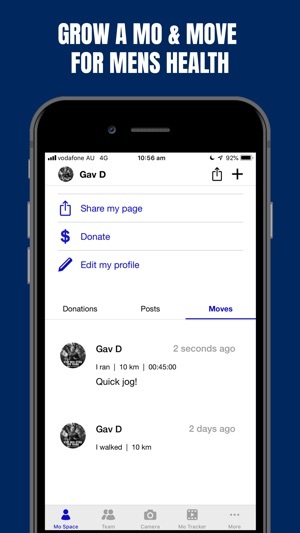 This is a good app for keeping track of donations and for updating your photo throughout the month and if that’s all you want then you’re looked after here. I’m organizing an event and it’s no help for that at all, I can’t view the event without searching for it and then I can’t edit it within the app. There should be a way to add it to a calendar or something. Thank you so much for the feedback! It's great to hear about the things you'd like to be able to do with the app. The Events functionality is definitely something we'd like to build on in the future. Really appreciate you taking the time to let us know - please send through any more feedback any time! Moves don't sync with iOS health app anymore? 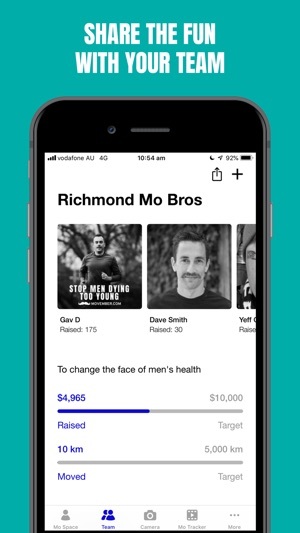 Not that it ever worked seamlessly, but what happened to the option to sync data between the iOS Health app and Movember app? No one has time to input activity data for each day, especially when this data already exists somewhere (all smart phones these days track steps, distance, etc). We had to trim down some of our options but you can still connect Strava, FitBit and Garmin from the website.